UGADI - New Year to all Indian people hailing from the southern states of Karnataka, Telengana and Andhra Pradesh. 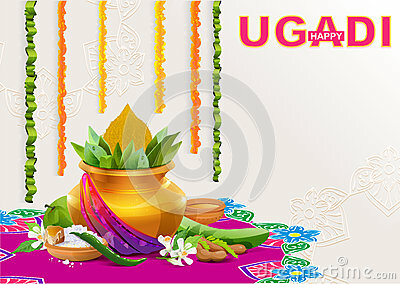 Ugadi is celebrated by welcoming the New Year with happiness, love and prosperity. On this auspicious day, People tie Mango leaves [Aam ki pathiyaan in Hindi; Maa Ilai in Tamil ; Maavadi Aagu in Telugu] in front of their homes. Mango leaves are considered auspicious as it symbolizes abundant growth and is a fertile crop. People do poojas/prayers to God by offering Prasad - Fruits, Cooked rice with dal and "UGADI Pachadi" - a slurpy dish with varied ingredients exhibiting all the tastes together embarking our life's journey. ^ act as an antioxidant by restoring the good cells in fighting diseases. 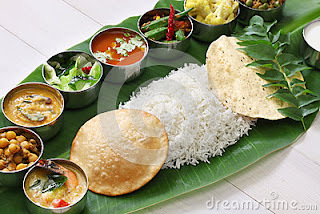 ^ are large in size to fit the surplus South Indian meal. ^ are economy friendly and serve as food for animals like cows, goats etc. ^ are portable and easy to carry food for one's travel. The taste of sweetness with Jaggery, sourness with mango, bitterness with neem, salt for neutrality, spiciness with pepper indicates our entire life chapter. These depict the necessities of such vital ingredients in one's food and life with a pinch of touch in each without any adequacy from either of them. A Smooth Life soothes our soul! 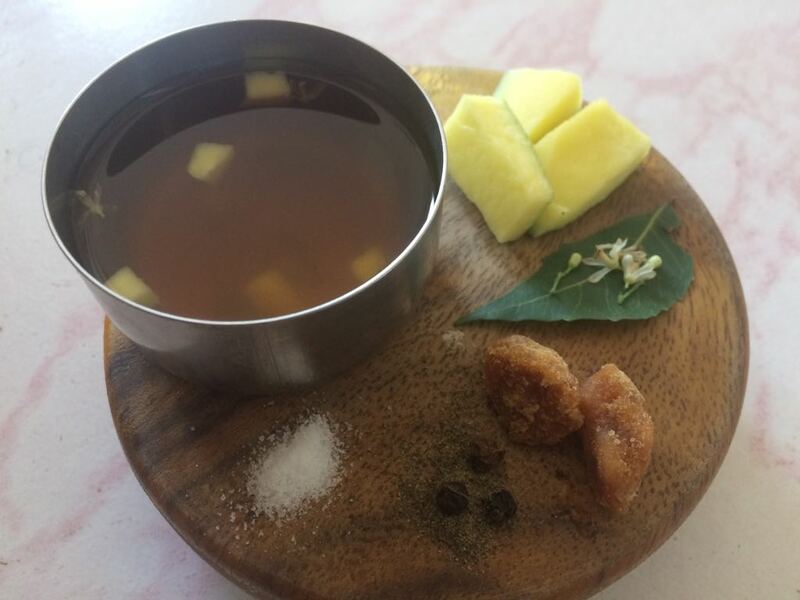 • For Sweetness - Take a small amount of jaggery in warm water, stir it well until the jaggery dissolves completely. Then strain the water in a container. • For Sourness - Cut a part of a raw mango into tiny slices and add them to the container. • For Bitterness - Take few neem flowers and add them to the container. • For Neutrality - Add a pinch of salt. Salt reduces bitterness and brings out the flavors of other subtle ingredients. If a dish tastes flat or spicy or bitter, a little salt will help you get the right taste. • For Spice - Add a pinch of pepper powder instead of red chilly powder. Pepper not only gives less spice but it is good for our health too. • After offering to God take up three tablespoons of this dish sharing with all your folks. Many would add coconut too for more taste. But for a quick, healthy, simple and less time consuming this Ugadi Pachadi not only adds the flavor and taste but enhances to start up an enthusiatic New year with pompous and satisfaction. Mostly people would prepare Puran poli and Vada on this auspicious day. To relish these mouthwatering dishes let us feast in Festive Relishes : Bhogi - Aish. Also to add more healthy delicacies on such festivals let us also try some variety with Sago/Sabudana - Aish which is not only healthy but is easy to prepare too. Happy new year Aish... thanks for the navarasa recipe..